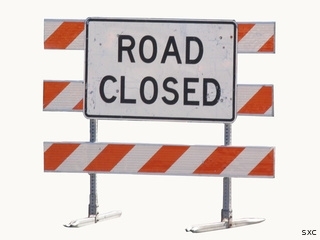 Coffee Goss Road is slated to be closed to all traffic in the area of East Elizabeth Street for approximately 8 weeks due to repairs being m ade to the historic building located adjacent to the roadway. It’s anticipated that the closure will begin on Monday, September 26th. The extensive repairs needed to the building necessitate the outside bracing of the wall immediately adjacent to the roadway surface. The bracing needs to be protected from possibility being hit by vehicles and will extend into the roadway. “Road Closed” signs will be in place at the intersection of Coffee Goss Road and Fuhrman Road. Only local traffic will be permitted on Coffee Goss Road past this point. Those needing to access the East Donegal/Conoy Christian Food Bank will also be permitted to use Coffee Goss Road from the Fuhrman Road/Coffee Goss intersection.